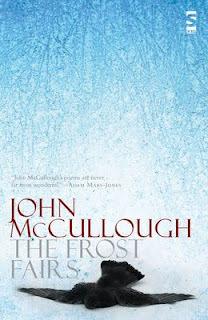 Salt Publishing and Gay's the Word are launching The Frost Fairs by John Mc Cullough and The Private Parts of Girls by Sophie Mayer. Two collections of poems. It's at "Gay's the Word" bookshop, 66 Marchmont St., London (nearest tube: Russell Square) on Monday 23rd May at 7pm. Entrance is free and all are welcome, no booking is required. Wine available. 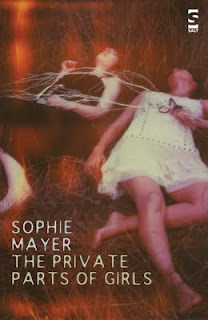 Sophie Mayer: Sophie Mayer is a writer and educator. She has studied and taught at the Universities of Cambridge and Toronto, and been part of the poetry performance and publication scenes in both of those fabulous cities. 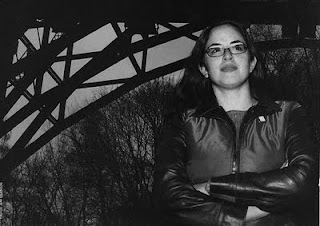 She writes regularly for Sight and Sound, Plan B and Vertigo about film, and for The F-Word and Shebytches about women and culture, as well as blogging as deliriumslibrarian about the multiple worlds of literature. She is a Commissioning Editor at queer literary magazine Chroma and one of the “new lyric poets” included in Andy Brown’s anthology The Allotment (Stride, 2006). Currently based in London, she is the author of The Cinema of Sally Potter: The Poetics of Performance (Wallflower, 2008) and You Are Never Alone, a play set in the Buffyverse, which will be staged at the Playbox Theatre, Warwick, in 2009. John McCullough was born in Watford in 1978. 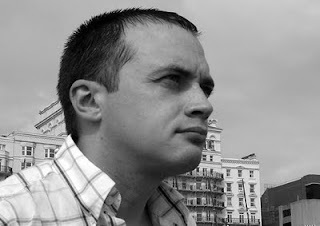 His poetry has appeared in publications including Poetry London, The Rialto, The Guardian, Magma and London Magazine. He teaches literature and creative writing at the Open University and the University of Sussex and has a Ph.d from Sussex on rhetoric and friendship in English Renaissance writing. He lives in Brighton. Salt Publishing began in 1990 when John Kinsella launched Salt Magazine in Australia. It rapidly grew into a leading publisher of emerging poets with diverse voices. Now they publish over 80 new titles every year. As a leading independent publisher, it's good to have their launch in our only remaining gay bookshop.